Early in the 1900's the Michigan United Railways Assoc. bought the eastern half of Lake Lansing Park South, as a loop for street cars. The company built "The Casino" for skating and dancing. 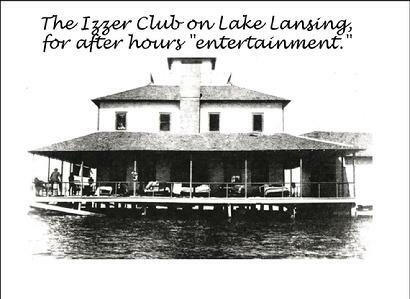 In 1934 Al Sprague and his wife Pauline (who still resides in Haslett) bought the park. It was around this time that The Casino was exclusively a dance hall. 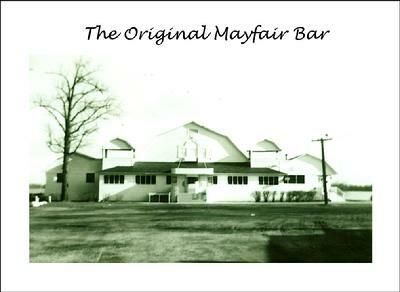 The Spragues changed the name from "The Garden" to "Club Mayfair" and procured a liquor license. 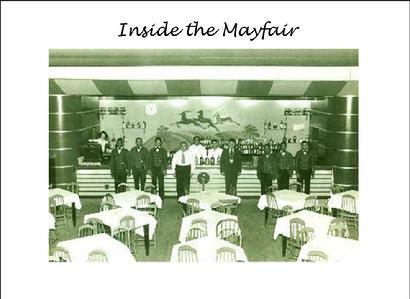 In 1947 Roger and Conrad Haney acquired the park and soon after sold the license and name "Mayfair" to Joe and Helen Oade. The year 1947 is also around the time the location was changed to its current one. The present building was constructed in 1928 and housed four businesses. Originally, the pool room didn't exist. This location had also been a dance hall, but catered to a very rough crowd! Leonard Good then purchased the bar. Doc Bearden and Tom Lundeen purchased the bar in 1986 and Bret Story obtained the bar from these partners June 14, 1996. Bret is still the current owner.